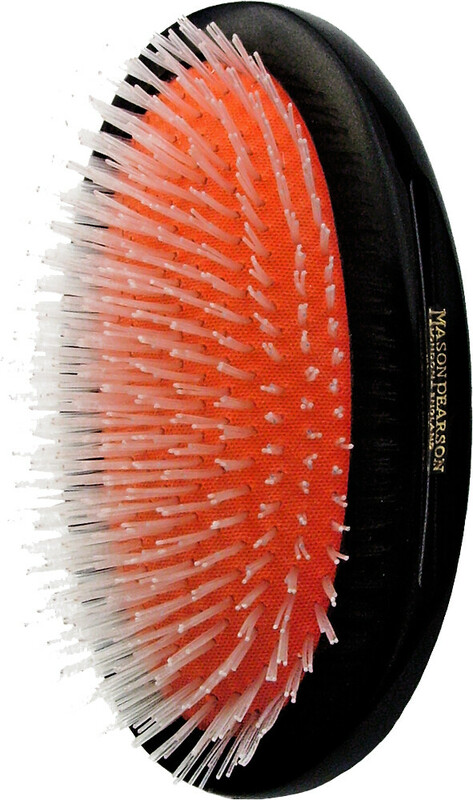 This nylon brush is best for thick hair, with 7 rings of nylon tufts to stimulate blood flow to the hair roots. The density of the bristles allows conditioning sebum to be more evenly distributed from the roots to the ends of the hair. Mason Pearson Brushes Nylon Universal Military NU2M is rated 5.0 out of 5 by 1. Rated 5 out of 5 by AMEE from Mason & Pearson Brushes These brushes seem expensive but they last for years and years and feel great.